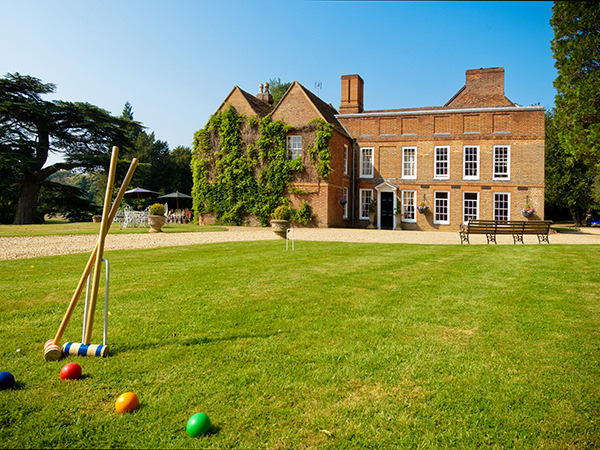 Located in the small town of Flitwick in Bedfordshire, this grade II listed Georgian country estate is an elegant and classic wedding venue perfect for couples looking to make their wedding day a truly classic one. With three potential wedding suites and the possibility of an outdoor marquee, there is no fault to find with this simply stunning venue. With first class personal service and attention to the smallest details you won't have to settle for second best. 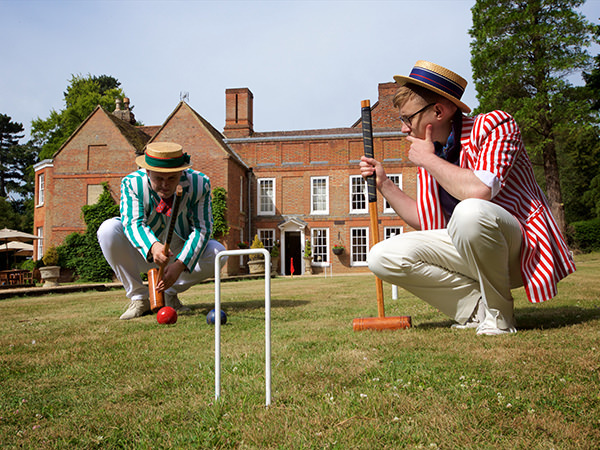 By hosting your special day at Flitwick Manor, you can rest assured that every last one of your guests will be wowed. The hotel is available for exclusive use, is licensed to hold civil ceremonies, and its restaurant boasts two AA rosettes, ensuring your wedding breakfast will be second-to-none. Built in 1632 by Edward Blofield, Flitwick Manor passed through a succession of private owners via inheritance for some 350 years, with each owner making their own mark on the house. 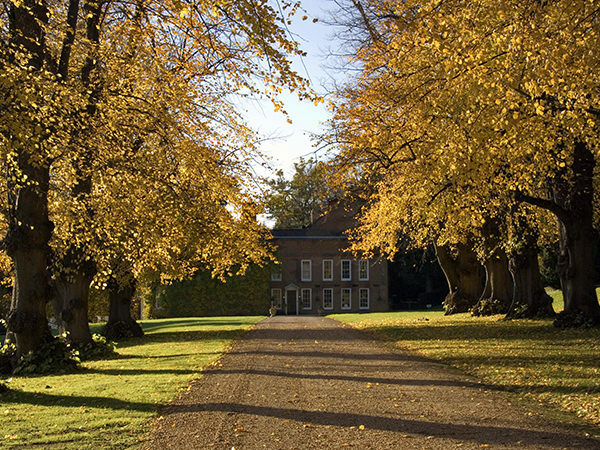 The most notable of these was George Brooks, under whose ownership the house underwent significant alterations between 1793 and 1808, including the addition of a Georgian façade to the front of the main building. In 1984, the hotel became a restaurant, and in 1990 it was sold again and became a hotel. Flitwick Manor is reported to be haunted, with many staff reporting sightings of the ghosts of an old housekeeper who once lived on the upper floor of the manor, as well as of the wife of Mr. Brooks. Flitwick Manor boasts three dedicated function rooms that can be used for weddings, all with their own unique characteristics. All rooms have a capacity of 58 guests. Named after the family that had the most impact on the way the manor looks today, the Brooks Room opens onto the terrace, and, on a pleasant day, can lend a refreshing al fresco feel to your celebrations. Containing a wealth of fine antiques, the Music Room is a classic and elegant space in which to hold your ceremony or reception. The centrepiece of this stunning room is its antique mahogany table, perfect for hosting your wedding breakfast and lending the proceedings the atmosphere of a banquet from a period film. 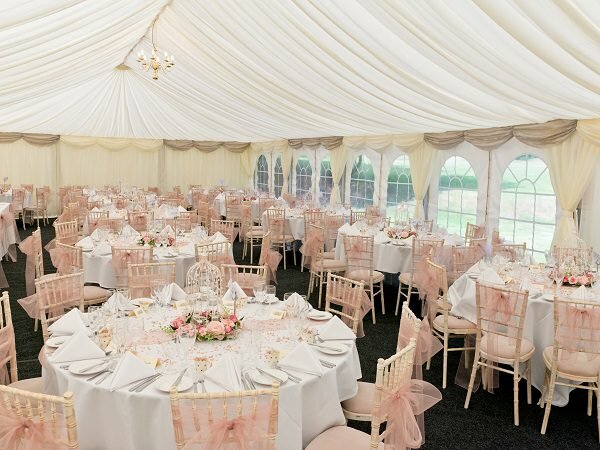 Although the indoor capacity of the hotel is 58, Flitwick Manor is conveniently equipped with its own marquee, which holds up to 150 guests and which they will happily erect in their beautiful grounds. With their two AA rosettes, the chefs at Flitwick Manor are sure to put on a truly special and delicious wedding breakfast tailored to you. The hotel's wedding coordinator is amenable to discussing all of the potential menu options, and a menu can be created just for you. All dietary requirements can be easily catered for. 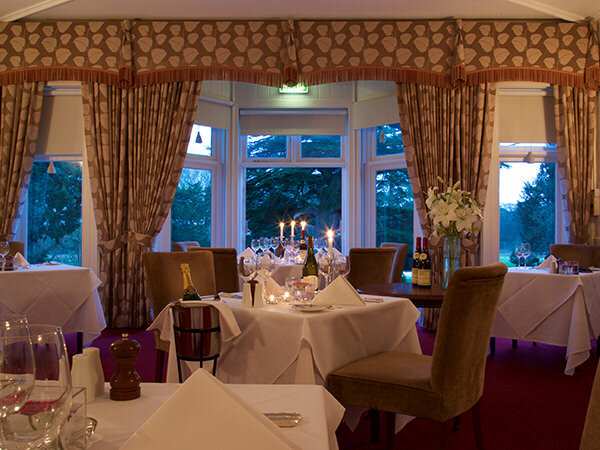 Flitwick Manor also offers menu tastings for couples so you can be absolutely sure of your menu decisions. 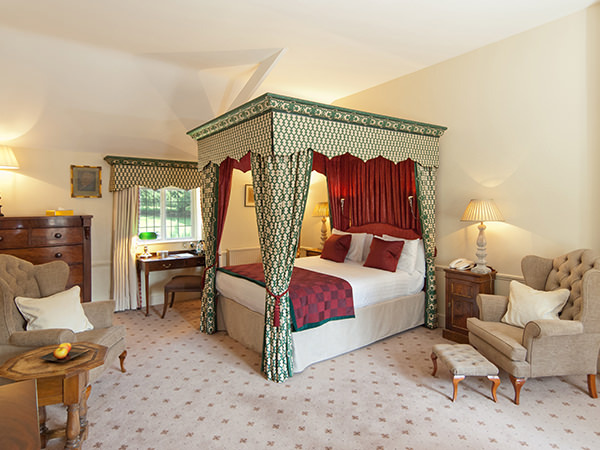 With 18 rooms contained within the manor house, guests need only stumble up to their beds after a long night of celebrating. 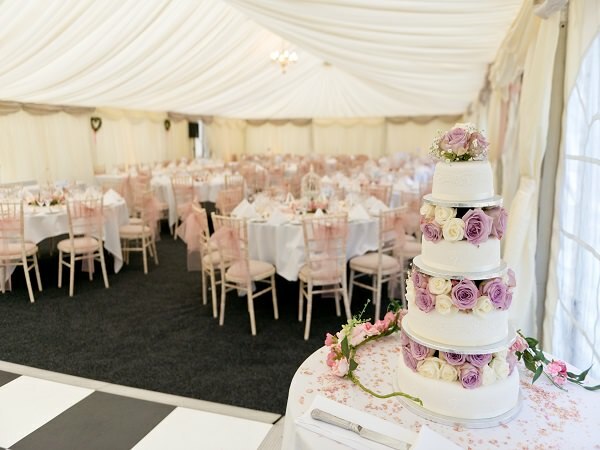 For larger weddings in the marquee, any guests not staying at Flitwick Manor are within easy reach of a number of other hotels close by. 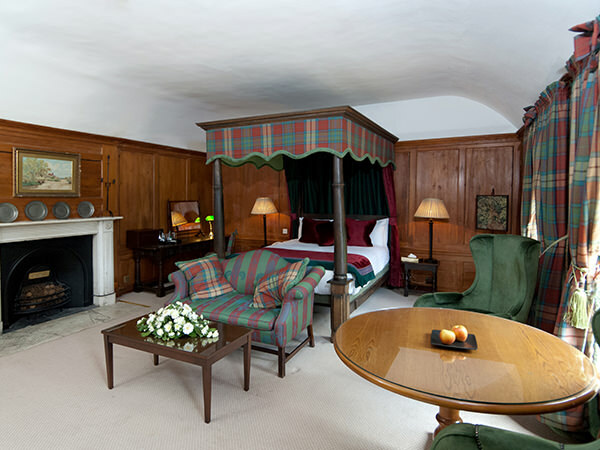 Pre-established wedding packages are available, as are bespoke options to ensure absolutely all of your needs are met. For more information, a meeting with the hotel's wedding coordinator is advised. 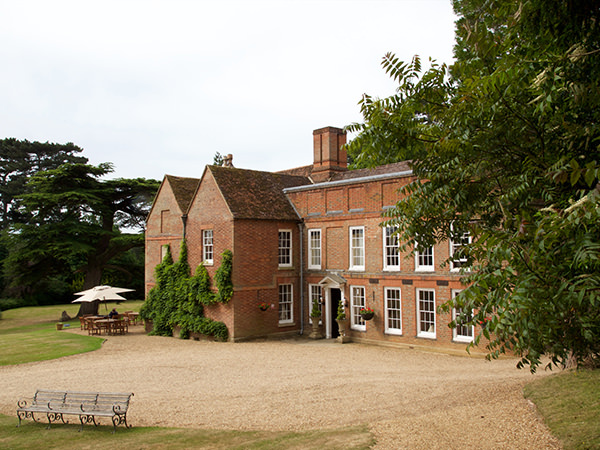 For more information on booking your wedding at Hallmark Hotel Flitwick Manor, please get in touch via the contact information below and to the side of this listing . What an absolutely perfect wedding party that was! We had high expectations of your hotel and its delightful staff and they were exceeded. The family and our dear friends will be singing the praises of Flitwick Manor for a long time to come. Let others know what you think of Hallmark Hotel Flitwick Manor by giving a star rating and a small review.